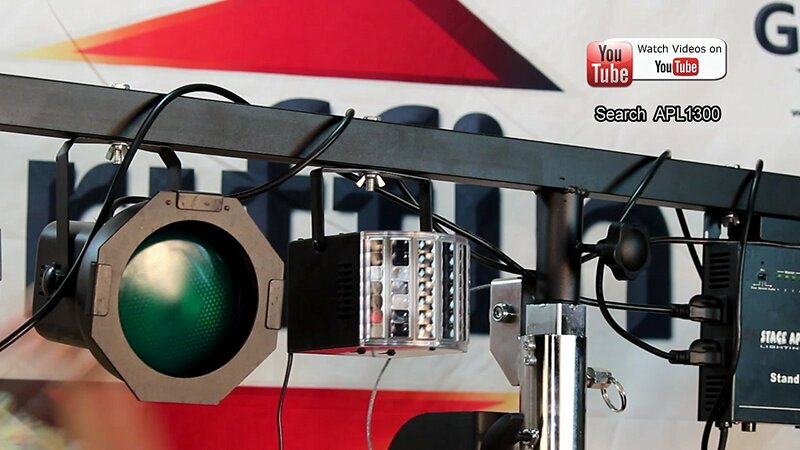 Do not waste your time comparing these crank-up stands to other cheaper crank lighting truss stands online. 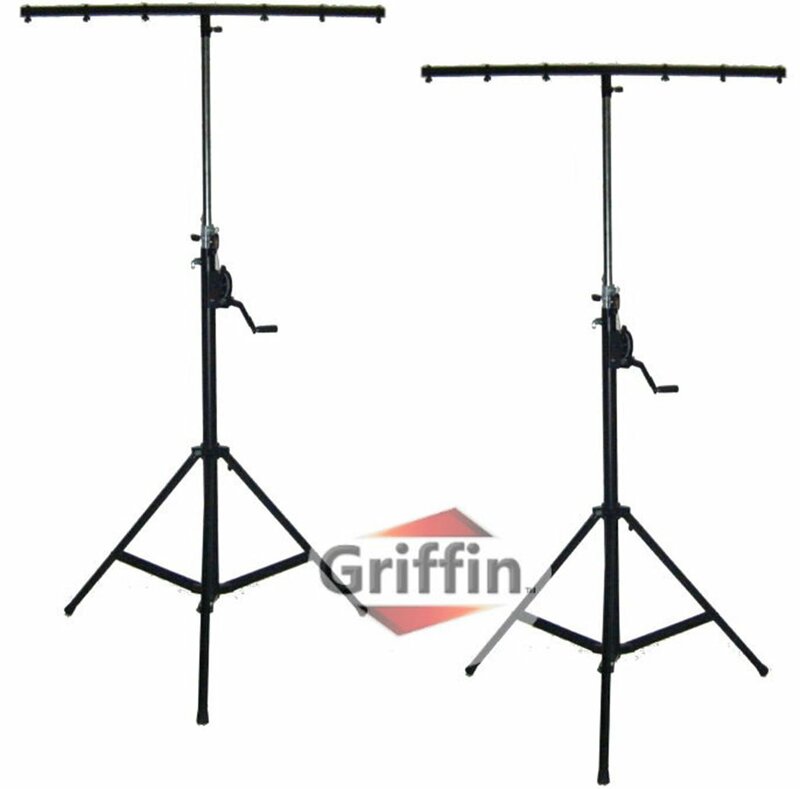 Each lighting trussing stand is exceedingly sturdy and durable. 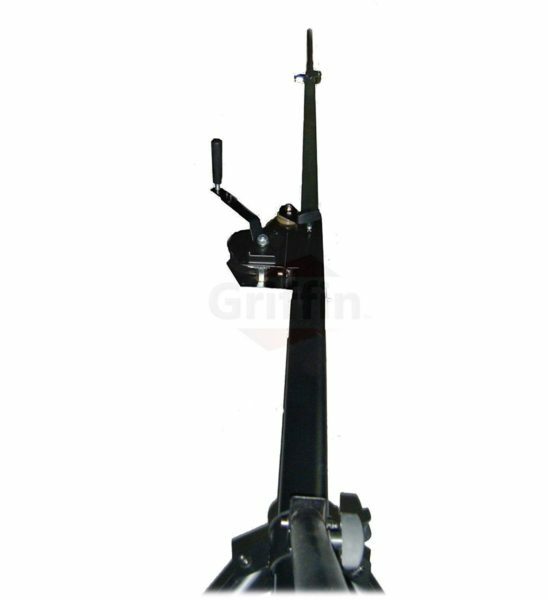 You can trust these crank light stands to securely accommodate the heaviest equipment with a total load capacity of 285 pounds per truss lighting stand. Try finding other truss lift stands able to work this hard for you at such a low price; it cannot be done! 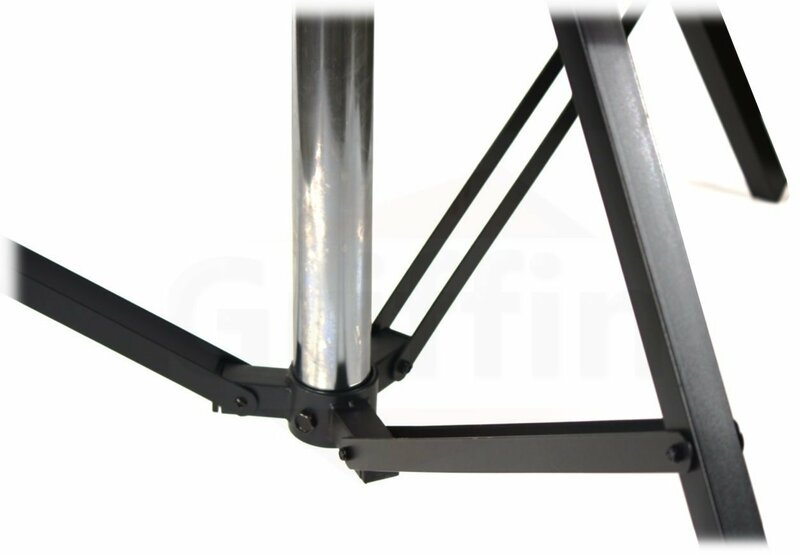 We offer the lowest price for quality lifting truss stands. Although these two crank lift stand are similar to a Hercules or American DJ stand, you may buy today with peace of mind knowing you are getting the cheapest price possible for these high quality speaker stands. Each of these trussing crank stands has 3 stages of interlocking poles for stability The crank trussing light stands can also easily be used to hoist your speakers high in the air by simply removing the central T bar. The central T bar, located at the top of each assembled crank trussing stand, measures a total of 60 inches across and features six hanging-point bolts. Tell your buddies they can take a break because one person is all you need to raise and lower your gear with each light lift stand. 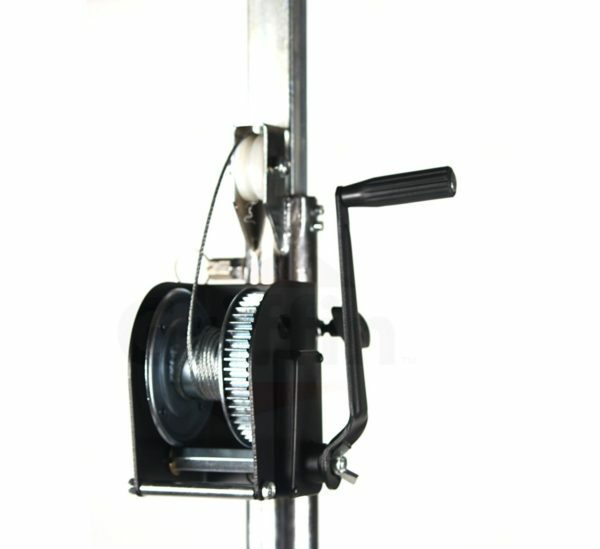 Best of all, these to disc jockey crank trussing stands fold effortlessly for efficient transport. These two DJ trussing stands are exceptionally ideal for the busy roving lifestyle of a mobile DJ and/or the up-and-coming band that is always on the run to their next gig! RAISE YOUR LIGHTS & SPEAKERS ABOVE YOUR AUDIENCE: Are you looking for top quality stage lighting crank up stands that won’t break the bank? We’ve got you covered. This pair of sleek, black DJ light stands will let you easily elevate your speakers, lights or video gear off the ground and keep them above your audience’s heads all through the night. Ideal for light jockeys, mobile DJs, music festivals, school events, churches, clubs, trade shows, dance performances and more. 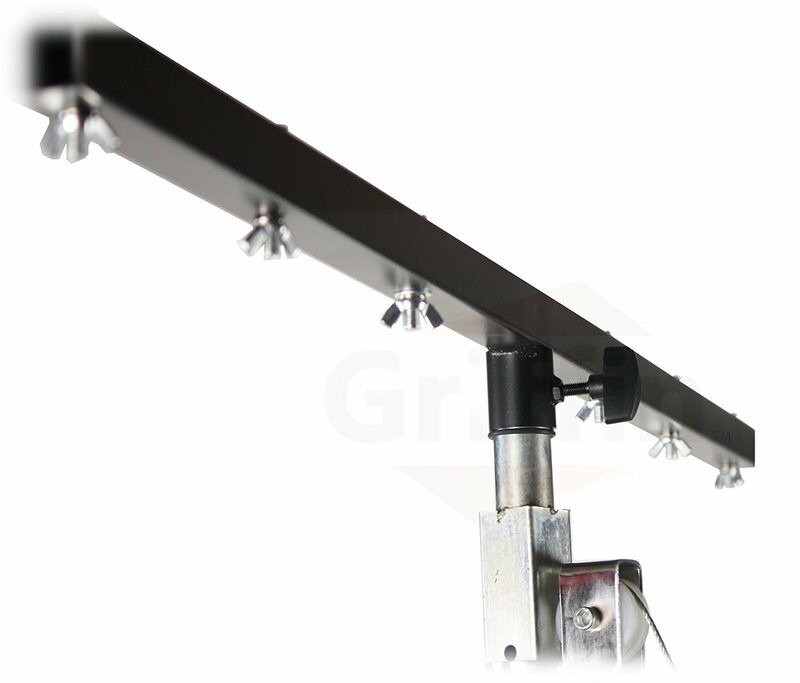 LIFT YOUR HEAVIEST EQUIPMENT WITH SAFETY: Boasting heavy duty, steel tubing that will safely support loads up to 285 pounds, each standing lighting rig features a removable, 60″ long, central truss T bar with hanging point bolts, ready to lift up to 6 par cans or lights with ease. Their sturdy construction provides unmatched stability and durability, making them a safe and long lasting choice for any serious professional. ADJUST TO YOUR PREFERRED HEIGHT: The poles are thoughtfully designed to interlock in three places, so you can easily adjust the height from 68″ to 11 feet 5″ according to your needs. 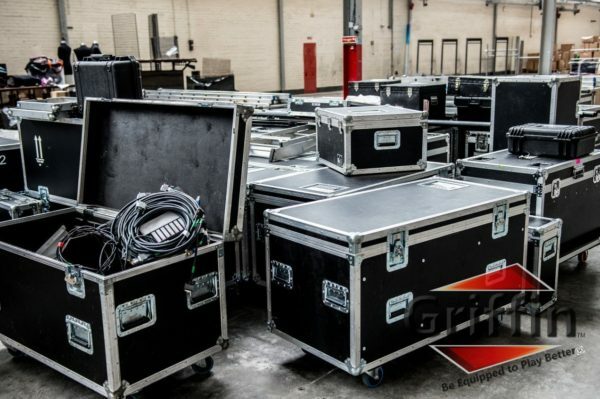 Do you need to hoist your speakers up in the air? Simply, remove the central T bar and you’re ready to go! 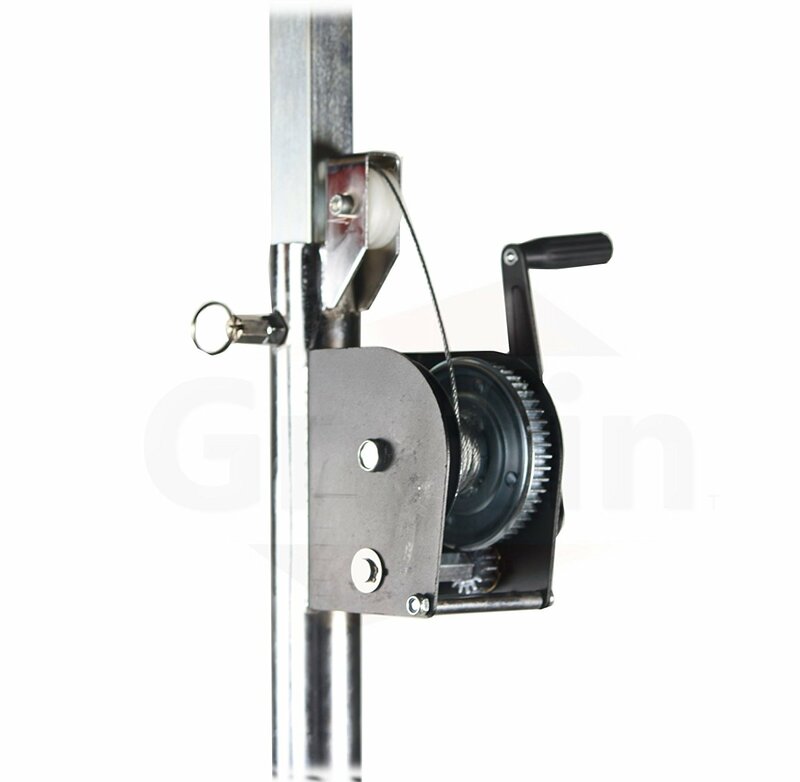 The convenient crank gear system is easy to turn, without requiring too much effort, while the soft, rubber rest pads on the feet will make sure your trussing stand stays securely in place at all times. TRANSPORT & SET UP IN A WHIZ: Don’t let their sturdy build fool you. Each light trussing stand weighs only 35 pounds, making them very easy to bring with you everywhere you go. 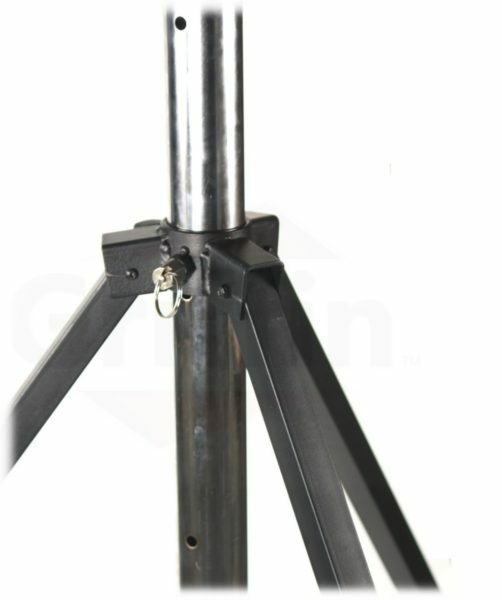 What is more, the foldable tripod legs will easily retract to make the truss stand highly portable and easy to transport to your next concert! Specifications: Top shaft Dia: 35mm (fits all standard speaker post mounts). Main shaft Dia: 6cm. Middle shaft: 15/8″ x 15/8″. Leg length: 46 ½”. Leg width: 1.25″ x 1.25″.  OUR PROMISE TO YOU: The Griffin Company is your trusted destination for top quality stage gear at the most attractive prices on the market. We stand behind our products and are always ready to go above and beyond for your 100% satisfaction. This is why we back these crank up stage lighting stands by a 1 year replacement warranty and a 30 day money back guarantee, should you experience any issues. What could be fairer?